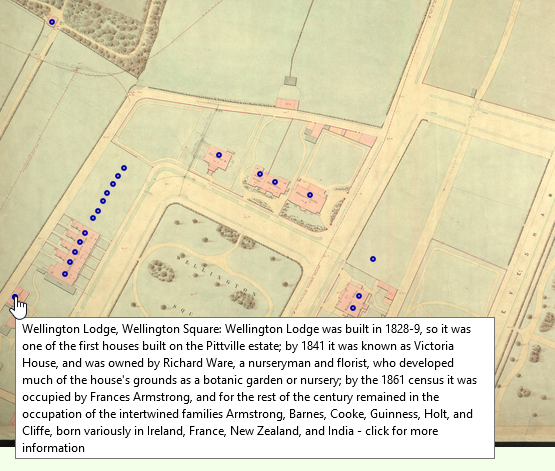 They aren’t comprehensive summaries, but give a quick impression of what life was like in this part of Cheltenham in the mid 19th century. We had a problem with some of those blue circles today – they wouldn’t appear. After a while Jeffery and I worked out that the search software was picking up old data, and wouldn’t display any of the new material I had been adding. It’s annoying when it happens, but it’s great when it’s fixed. 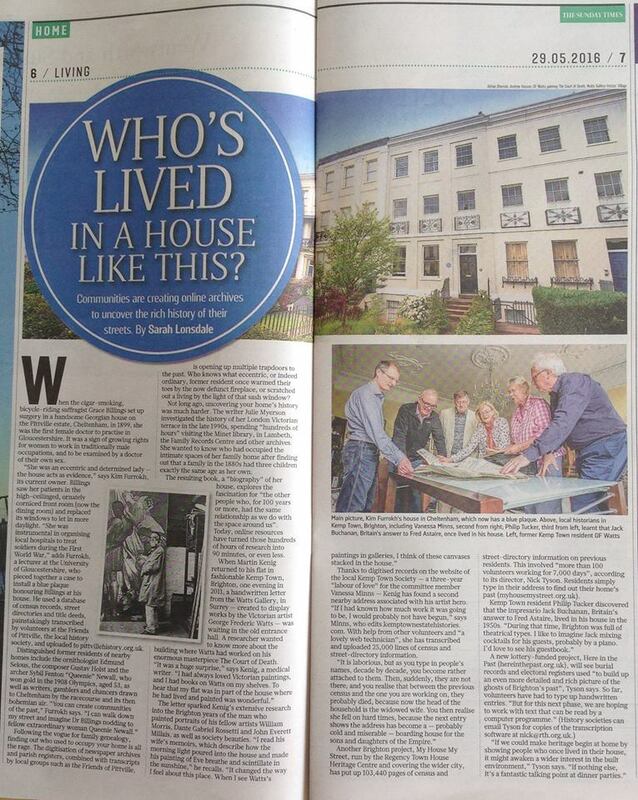 The Pittville History Works group only started two years ago, but we went national yesterday when we were featured in a Sunday Times article on researching the history of your house. I dashed to the website stats, to find that the number of visitors to the site had increased by about 20%. Not too much, but perhaps it’s a long way from the newspaper to your tablet, or maybe people don’t get to the Home section till around Wednesday.